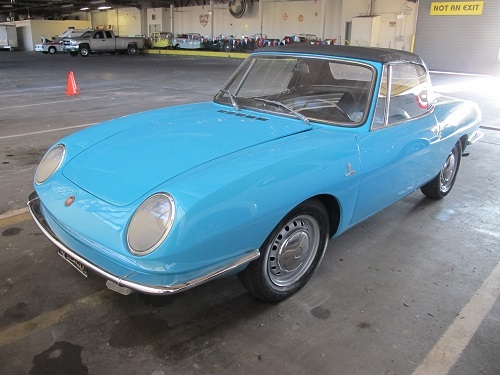 Following the introduction of the 850 Sedan in 1964, Fiat debuted the 850 Spider two-seater convertible in 1965 to compete with the MG Midget and Austin-Healey Sprite. 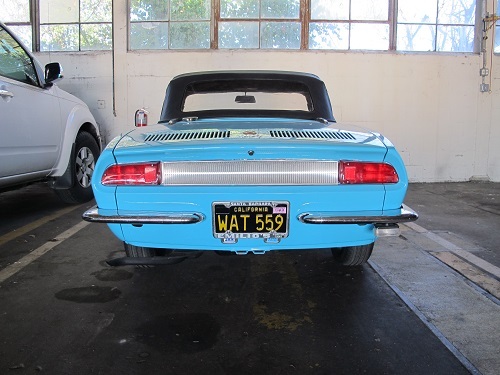 While the Sedan and Coupe were styled and built in-house by Fiat, the Spider was designed and built by Fiat’s frequent stylist and carrozzeria (coachbuilder) Bertone. Famed stylist Giorgetto Giugiaro led the project during his time there. 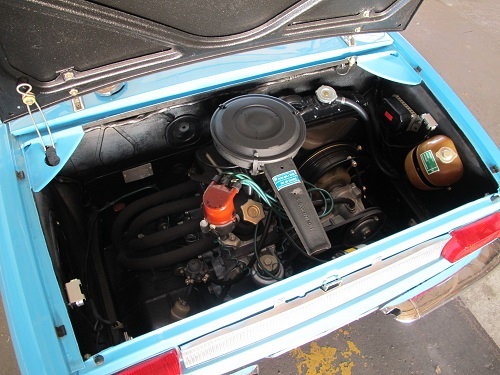 The 850 Spider was powered by a rear-mounted 843cc four-cylinder engine that unusually rotated counter-clockwise (like a Chevrolet Corvair). With only 47hp on tap in earlier models, the 850 Spider wasn’t exactly a drag racer. However, with a base price of $2,100 and up to 40 mpg, it was frugal fun wrapped in beautiful Italian styling, perfect for sunny Sunday drives in the country. Note the clever metal tonneau cover, which provides a clean look while the top is down. Interestingly, the lighting assemblies of the 850 Spider were shared by Lamborghini for the first few model years of the Muira supercar. In 1969, the headlamps were changed to a “frog-eye” style to meet US regulations, and the engine was enlarged to a 903cc unit with 52 hp. The 850 Spider was not perfect though. In addition to reliability issues, many 850s were subject to recalls before they hit the sales floor due to rust. 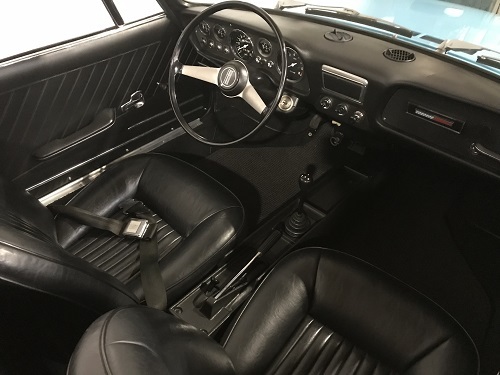 This, along with its economy car- disposability, means there are not many 850 Spiders left, even though 125,000 were sold (most to the US market).